The 2018/2019 Lange RS 130 was tested in the men’s Frontside category at Silver Mountain Resort by the experts at America's Best Bootfitters, powered by Masterfit. 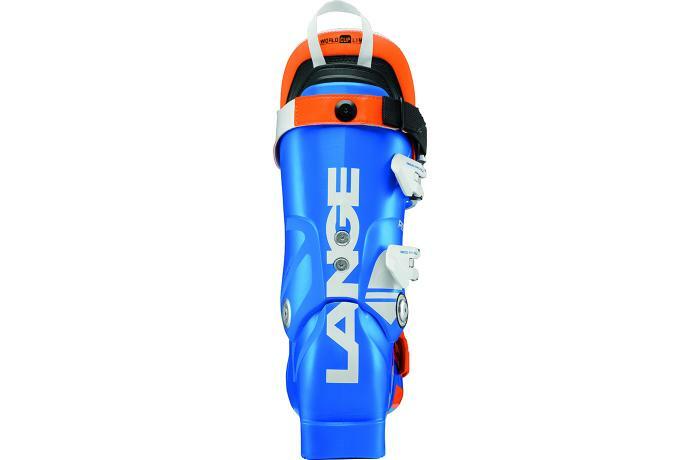 The patriarch of the RS blue boot family, 2019 Lange RS 130 returned to our boot test this year unchanged but packing the full slate of revisions it received last year to shell and liner which continue to set it apart from the rest. 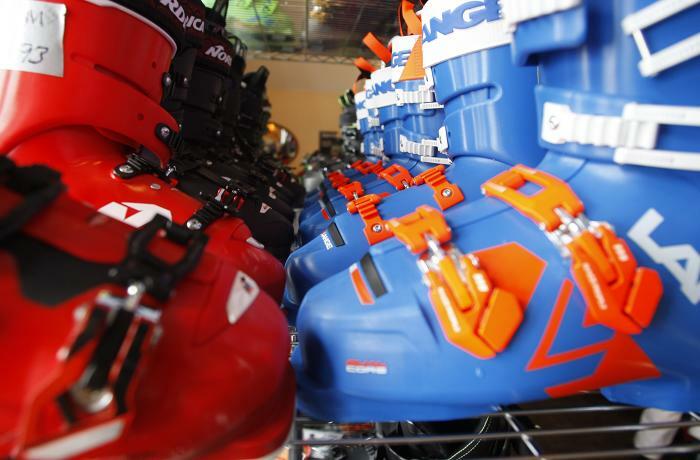 Again, after a week of rigorous testing the RS 130 topped the Frontside category again with nearly perfect scores for stance, edge power and quickness. The challenge for Lange with this revised RS wasn't just to come up with a new shell and liner but to come up with both of those that were better than what they already had, which was pretty damn good. The shell was tightened internally in the heel pocket but also made more defined in the ankles. The liner is more anatomically sculpted with firm pre-molded material in the ankle and heel area and its exterior material is stiffer and also precisely matched to the interior shape of the shell. Testers said mission accomplished, again—the fit is stronger in the heel and more comfortable in the ankle, but with an even, performance-minded grip all along the foot and into the cuff. 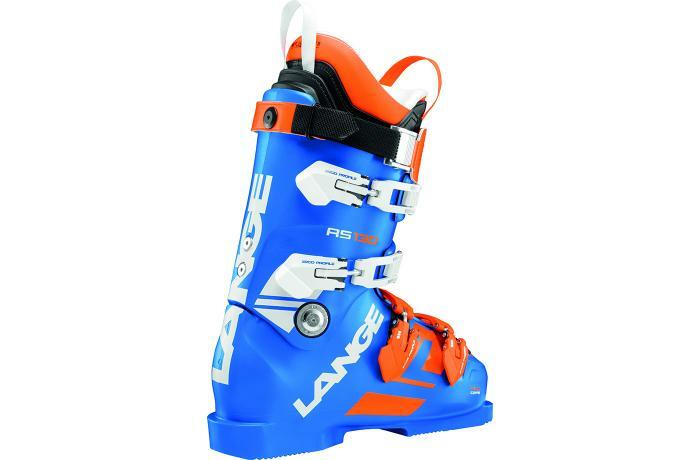 From the initial entry to the end of each tester's on-snow session, they said the fit was an ideal wrap of the foot and the leg. 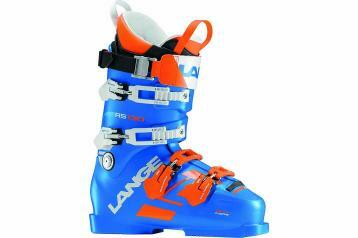 Externally, the shell of the RS 130 is thicker in the heel counter and up through the spine of the cuff than in the past for a more powerful drive train, and modifications were made to the thickness of plastic in key areas to enhance feel for snow and prevent a fold-over flex feel when taxed. In both the shell and upper cuff, Dual Core construction employs a less dense plastic sandwiched between higher density plastic to generate a tensile energy in the material itself. Testers don't know how they did it, but they agreed on all counts again this year—stronger, more tactile, and quicker all around. Testers mentioned again that the turn seemed to start earlier and felt more round from start to finish than with the RS boots of old. 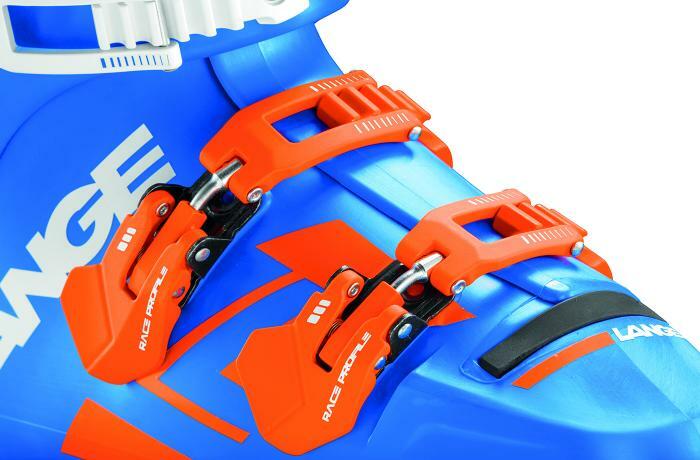 Everything a high performance skier needs and nothing else here: removable rear spoiler, double liner pull loops, cam lock power strap, single side set-screw cuff adjustment, easy-open bottom buckles and a toe dam that doesn't leak.